CLOSEOUTS. 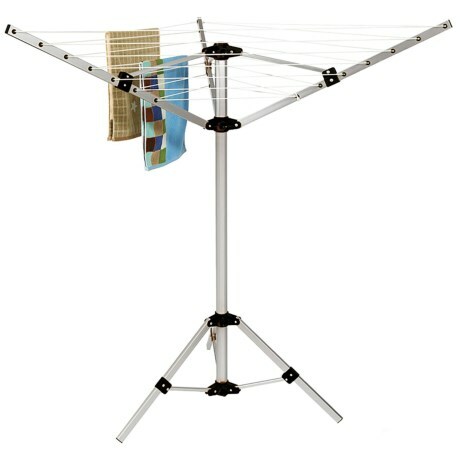 Wooliteand#39;s three-arm aluminum rotary airer offers over 57 feet of drying space in a rust-resistant, easy-to-assemble tripod design. Great for indoors or outdoors! Available Colors: MULTI.